Also floors can be fitted to battons and special self adhesive underlay. It is always important before choosing your floor that you have a moisture check carried out. Solid wood floors should be fitted in any of the above mentioned methods but never floated. Click Flooring have a policy of never using the floating method. 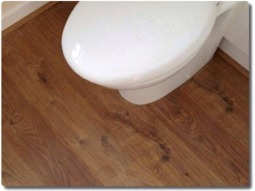 Solid wood floors can be fitted using a number of methods. Which of these are most suitable will depend upon the exact nature of the product and the sub-floor. Parquet floors will always need to be glue fitted. They can be fixed to level concrete screed or plywood fixed to joists. They will also always need to be sanded with a professional sander (upright continuous belt sander not a disc or flat bed sander). Narrow plank floors can be glue fitted to a level concrete floor. Wider plank floors (up to 150mm) should be secret nail fixed to joists, batons, or an existing level timber sub-floor (as long as this is level and solid). Plank floors over 150mm wide should be secret nail fixed and then face fixed.